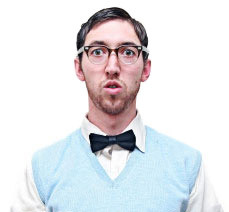 How to Program MOWI™ (Wi-Fi) Sensors with Wi-Fi Network Security. MOWI™ Wi-Fi sensors work with any existing Wi-Fi network. In order to setup a MOWI sensor to use a secured Wi-Fi network (WEP, WPA or WPA2), you will need to add security access information to the sensor. This tech-tip will take you through that process. Step 1. Download and install the MoWi setup application from the Monnit Support page. This simple program will allow you to add Wi-Fi network security to your sensor as well as provide advanced communication settings such as DHCP and the ability to send sensor data to 3rd party web applications. Step 2. With the application installed and running, follow the instructions to download and install the USB programming cable driver. Step 3. After installing the USB cable driver, plug one end of the cable into an available port on your PC. Then peel back the label on the end of the MOWI sensor (where indicated) and plug the other end of the cable into the sensor. Step 4. Enter the Wi-Fi network credentials. You can use the connected sensor, to search for Wi-Fi networks within range if you are unsure of the wireless network SSID. You will also need to select the type of security being used, and a Key / Passphrase for the Wi-Fi network. For the majority of users, this is all the information needed. Step 5. 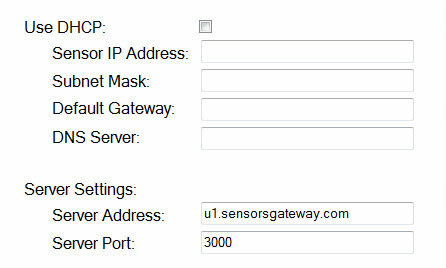 Click the “Configure Sensor” button in the bottom right side of the application. You should now see a confirmation window telling you that the sensor has been configured. Repeat for any additional sensors. If you need to set a custom host configuration protocol, or want to send the sensor’s data to a 3rd party web application, click on the “Advanced Settings” button. From here you can enter the server information for the 3rd party web application, or uncheck the box next to “Use DHCP” to enter custom parameters for your Wi-Fi network. 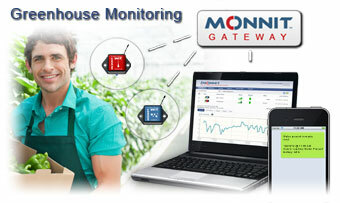 With Monnit Wireless Temperature Sensors and Wireless Humidity Sensors you can have 24/7 monitoring of your greenhouses and have the ability to track environmental changes, allowing you to maximize your energy efficiency and grow healthier crops with a higher yield. Now you can make fewer assumptions and minimize mistakes when balancing the environmental conditions within your greenhouses.